As the summer winds down and the kids get ready to head back to school, it’s a good time to do some work around the house to help prepare for the changing season ahead. Taking the time to perform a few repairs now will not only help protect your home during the long winter months but will also prevent repairs down the road. Here is an end-of-summer home maintenance checklist you can use to help prepare your home for the colder months to come. Making sure windows are completely sealed is the easiest thing you can do to keep your home both energy efficient and warm. Cleaning your windows at the end of summer and the beginning of spring will also ensure your home looks great from the inside and out. Once you’ve done that, inspect the caulking around the windows to make sure they are properly sealed from the outside. If you own an electrical fireplace this will be easy - just make sure it’s still working. If you have a traditional fireplace, this will be a bit more labour intensive. We recommend cleaning your fireplace at least once a year so any buildups of ash and soot don't become a fire hazard. If you don't relish the thought of cleaning the inside of the chimney, hiring a professional is a good way to go. 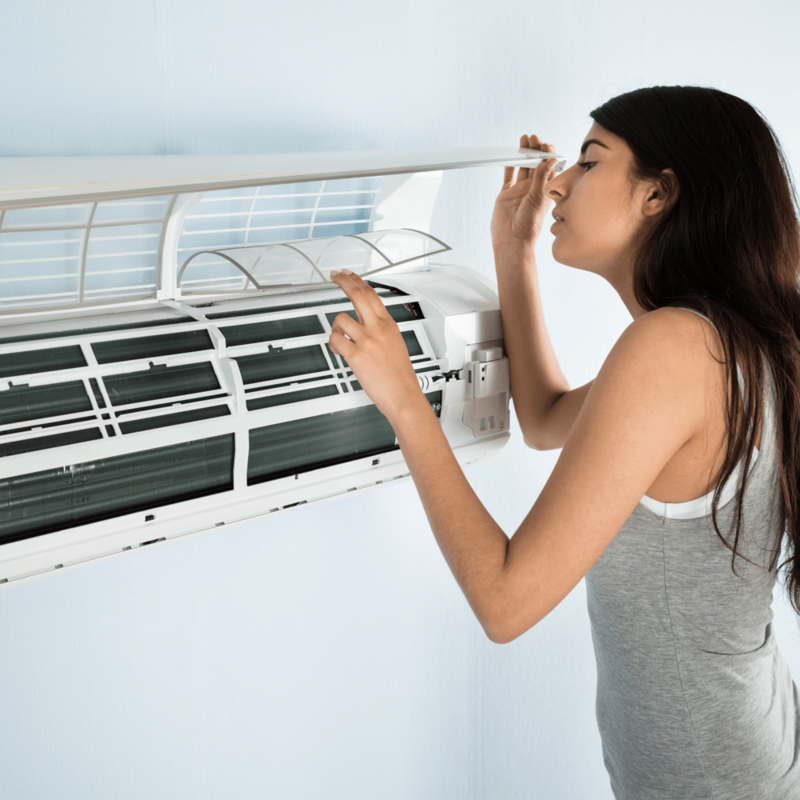 The heat of summer introduces all kinds of bacteria into your home, which finds its way into your air filter. Most new home furnaces come with replaceable filters you can pick up at any hardware store. If your filter isn’t replaceable, give it a good clean and set it outside to dry. As your driveway ages and is exposed to the elements, cracks will appear that you’ll want to repair before winter comes. You could use a concrete crack sealant, cement or a filler of some kind. If you are unsure of what to use, consult with someone at your local home improvement store. Putting in the time to fix these minor repairs will ensure that water does not get in the cracks and create an even larger problem. It will be important to remove debris from your eaves, such as leaves, dirt, and anything else that may have found its way in there. When the spring thaw comes, you want to make sure your eaves and downspouts are moving all the water from your roof away from your home, not into it. After a season of hot temperatures and impressive rainstorms, it’s a good idea to inspect your siding to ensure nothing has warped or moved out of place. If you find a panel has been damaged, have a licensed contractor fix the issue to ensure it’s done properly. We know packing away outdoor furniture is a sad moment in every Albertan’s life. It’s an acknowledgement of the frigid temperatures to come in the months ahead. But, to prolong the life of your summer furniture, be sure to store it before cold weather can cause more wear and tear. You could store it in your basement, garden shed, or secure a tarp over it if you are storing it outside. Packing away your summer outdoor furniture is a great time to ensuring your garden shed or garage is neatly organized. Get rid of any junk you’ve relegated to these spaces, clean out any dirt and dust that has built up over the course of the year and organize your things for winter storage. It’s a smelly job but someone has to do it. If they aren’t too dirty, you can clean them off with some antibacterial wipes to remove any germs. If there have been spills and debris building up inside them, spray with a bleach cleaner and rinse them off with a hose. While it is recommended that you do all of these tasks, even completing some of them will go a long way to making sure your home is well maintained. If you’re looking for more ideas or maintenance tips, check out this other seasonal checklist. Do you have any cleaning or home maintenance hacks? Share them in the comments below! ©2019 Qualico Communities. All rights reserved.